Many people have fond memories of art class from their childhood. It was a break from the usual routine of the school day and a chance to let creative juices flow. Art therapy can hold a similar place of importance in addiction treatment programs. The process of creating art provides a break from talking about feelings and allows clients to express their thoughts and emotions in an entirely different way. 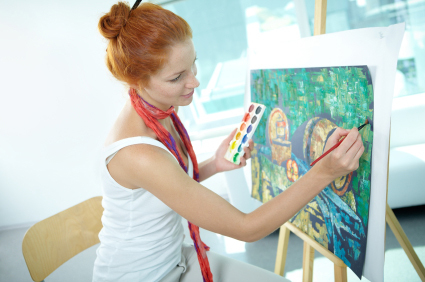 In this article, we’ll look at some of the key benefits of art therapy. Most therapies used during addiction treatment are verbal in nature, including individual counseling, group sessions, 12-step programs and other forms of talk therapy. However, some people find it difficult to put painful thoughts and feelings into words. In these cases, augmenting a standard treatment program with complementary therapies, including art therapy, can make a big difference in promoting healing. Instead of struggling to describe certain feelings or to choose the right words, participants can express themselves using a visual medium. Art therapy also has a way of helping participants uncover and address deep-seated feelings that they’ve pushed into their subconscious for years. Art and other creative pursuits are excellent sources of stress relief. Research into the effectiveness of art therapy in addiction treatment offers promising results. One study shows that doing crafts or creating art boosts the production of dopamine, a neurotransmitter in the brain that acts as a natural antidepressant.1 Ongoing substance abuse can leave the body unable to produce adequate levels of dopamine on its own, but regular art therapy sessions may help restore the body’s natural levels and boost overall feelings of well-being. Additional research suggests that art therapy can reduce anxiety in participants by lowering their levels of cortisol.2 This effect could help reduce the discomfort and stress that often accompanies withdrawal. Another benefit of art therapy is its ability to help therapists track a participant’s progress. In most cases, artwork created at the beginning of treatment is angry in nature. As participants progress in their recovery, there is usually a clear difference in the type of imagery used in their art. The mood of their creations tends to be happier as the participants become more sure of themselves and comfortable in their recovery journey. Art therapy makes it easier for a therapist to identify participants who aren’t making this expected progress so that they can make the appropriate adjustments to those individuals’ therapy plans. Art therapy offers multiple benefits for people in addiction treatment: stress relief, self-discovery, emotional release and empowerment. Each of these positive effects can help participants progress in their recovery and avoid the temptation to slide back into substance use. While art therapy isn’t intended to replace evidence-based addiction treatment techniques, it can serve as a valuable complement to an evidence-based treatment program. The emotional breakthroughs that participants experience during art therapy can play an important role in their long-term recovery.